Picking out the Christmas tree is an age old family tradition. 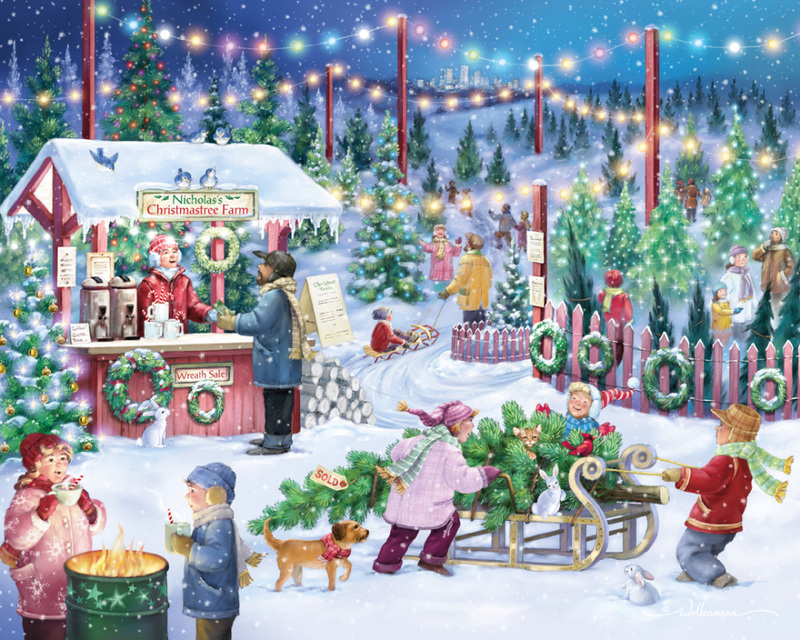 Holiday themed jigsaw puzzles are perfect for passing the time and building the anticipation for Christmas. They also make great gifts for kids and adults alike! I love this beautiful puzzle!! The colors are so bright and pretty. The faces on the people, are so cute. I love the artist that did this puzzle. If you enjoy a fun, make you happy kind of puzzle, than this one is it! !